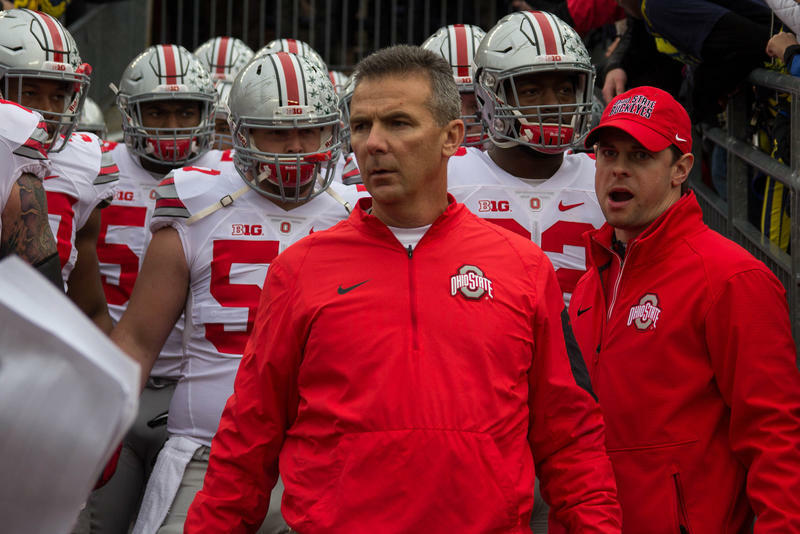 With college football season starting back up, many eyes are on OSU football coach Urban Meyer, who has been suspended for only three games. John U. Bacon is Michigan Radio’s sports commentator. He joined Stateside’s Cynthia Canty to discuss how each team is positioned as the 2018 season gets underway. The AP Top 25 poll has ranked Michigan State at number 11 and Michigan at number 14. Bacon said this isn't at all surprising since rankings are mostly based on data from last season. Fellow members of the Big 10 East Penn State and Ohio State rank in the top 14, with Penn State at number 10 and OSU at number 5. Bacon said this will make the Big 10 East a very challenging division. But as all these teams prepare for this first games, most of the media attention has been on OSU head coach Urban Meyer. 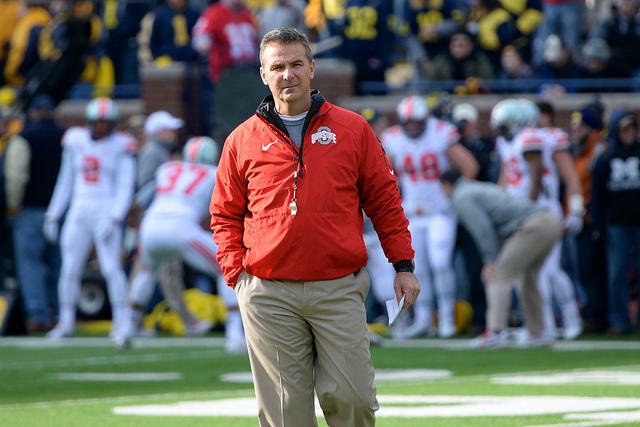 Bacon was not surprised by the decision to suspend Meyer for only three games. He said the university should have been handled this problem much earlier. "In 2015 or 2009, when you have reports already of domestic violence, I don’t think you need to know anything more than that," Bacon said. "There are a lot of shades of gray to this case, but how to handle domestic violence is not one of them. And that is you call the authorities and you handle it very seriously, and this was not done here. " Listen above to hear Bacon discuss his predictions for this weekend's games and the Big 10 East this season.